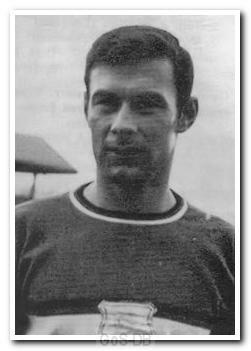 Mitten, the son of Charles Mitten who played for Manchester United in the late 1940's, began his career as an amateur with Mansfield Town in 1957 and was an England schoolboy international. An outside-left, he made just three appearances for the club before moving on to Newcastle United, where he also struggled to make any impression. Brief spells with Leicester City and Manchester United followed, before a stint with Coventry City. In just over three seasons at Highfield Road he scored a handful of goals in 35 appearances, before joining Argyle in January 1967. Despite playing regularly over the next 18 months he did not make a big impact at Home Park and moved on to Exeter City where he ended his professional career. He also went on to play for Bath City and Trowbridge Town and was a talented cricketer, playing for Leicestershire.